The Pleasanton High School UIL academic team participated in the district meet in La Vernia on March 29 and 30. Four students qualified for Regionals. 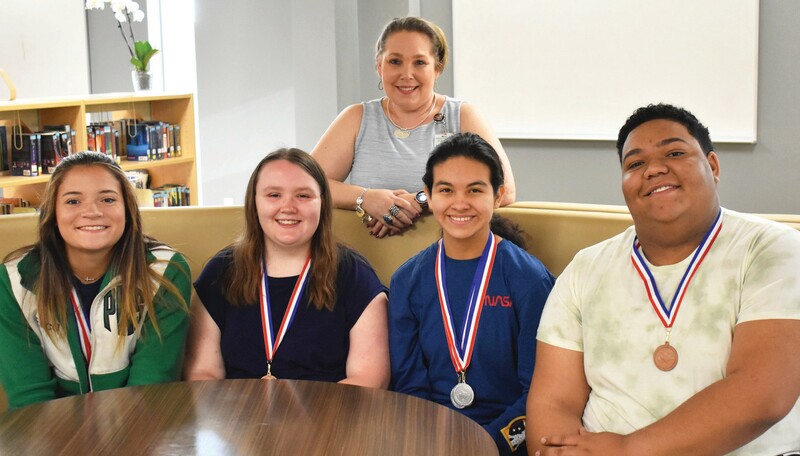 Alaina Dickson received first place in Computer Applications, Erica Santee received second place in Calculator, Xavier Norris received third place in Headline Writing and Zorayda Martinez received second place in Science. The Regional meet will be held at Texas A&M Corpus Christi on Saturday, April 13.